Callum has a theory about warfare. Back in Belgium we visited Waterloo and learnt a few things about the battle and life in general. I became more educated about footwear than at any other point in my life, learning that two generals from Waterloo had shoes named after them. The boys came away with an idea about battles and tactics which is standing them in great stead in their computer gaming. One of the inconsequential things we learnt was that the French lancers were so effective on the field of battle that after Waterloo the other European countries all created their own groups of lancers. Lancers were subtly different to the more widely used cavalry of the time and much more scary. A number of units at Waterloo simply refused to engage the French lancers. An English company, faced with the lancers, was said to have reported that “we retired rather in an irregular manner”. So after Waterloo Britain formed its own lancer units. And strangely enough they have a nice clothing connection to tie them even more closely to Waterloo. You see, the British lancers achieved their own fame some years later when they were decimated in the infamous charge of the light brigade. That charge was led by another man who had some clothing named after him – Lord Cardigan. Now, Callum’s theory of why the French lancers were so good at Waterloo comes down to bread. The boys have been going out each day to find fresh bread for us. They either get a baguette or the larger long loaf called simply un pain. 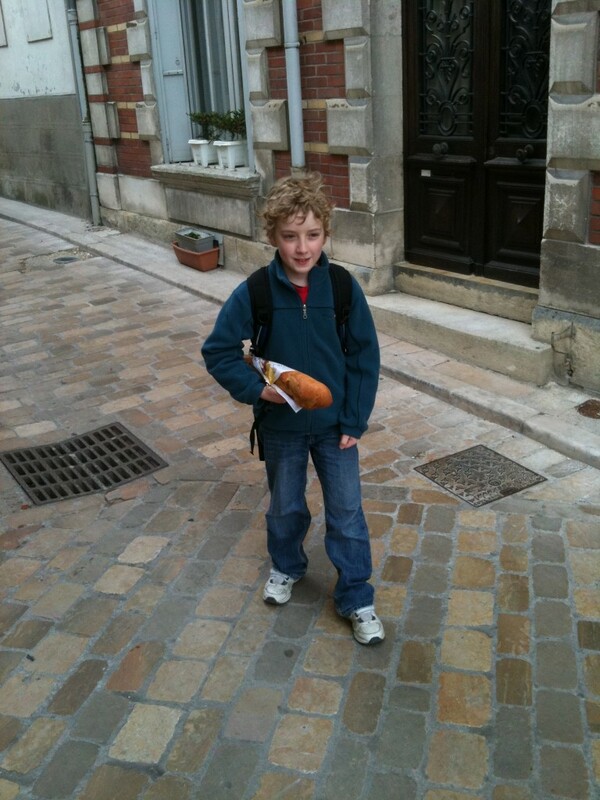 As is typical in France, the loaf is pulled out of a bin, a twist of paper is placed around its middle, and you set off home with the loaf under your arm. What better training for a young lancer?